They had never seen their cat fall asleep in this position, so when they start recording? 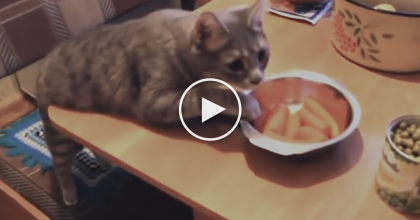 You can’t help but laugh along at how funny this cat looks! The grey kitty is sound asleep with his head resting on the couch – completely conked out! What a cutie, he’s just so sweet, awwwww! 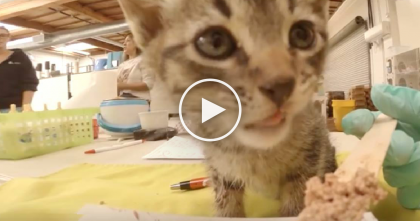 Kitten Starts Meowing, But Just Watch How Momma Cat Responds… True Love, ADORABLE. 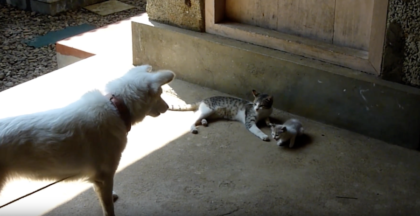 Kitten starts meowing for help, then the dog hears her cries. Now watch how he answers her request. 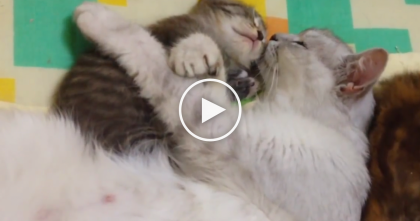 This Momma Cat Knows How To Love Her Kitten In The Most Adorable Way Ever, SOO CUTE.